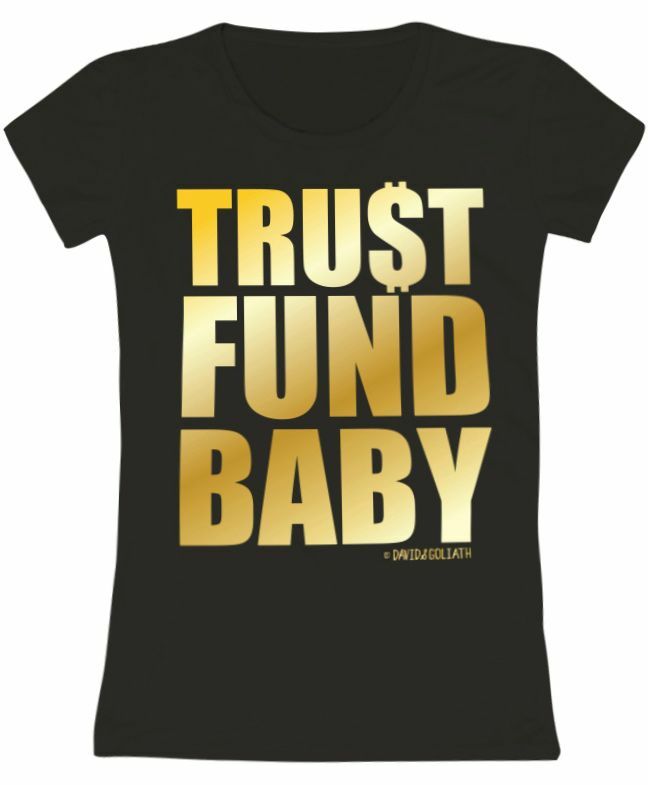 "Trust Fund Baby" is offered in black with soft hand ink. David & Goliath's Toddler Tees are 100% Cotton jersey, made from super soft combed ringspun yarn. Style Tip : Team it with denims or shorts or skirts to complete the look. David and Goliath is a leading apparel designer, manufacturer, wholesaler and retailer. The brand offers T-shirts, lounge wear, and fashion apparel mixed with their unique blend of attitude and sense of humor.